According to the Wall Street Journal, Republican Congressman Dana Rohrabacher of California spoke by phone on September 13th with U.S. President Donald Trump’s Chief of Staff, General John Kelly, aiming to transmit to President Trump, from Wikileaks founder Julian Assange, a trade of ‘proof’ of Russian non-involvement in the transmission to the public of internal Democratic Party information during the 2016 Presidential contest with Hillary Clinton, in return for the U.S. Government’s stopping its efforts to prosecute Mr. Assange. Assange wanted finally to become freed from his years-long virtual house-arrest inside Ecuador’s London Embassy, by the United States Government efforts to force him to be tried in U.S. courts. 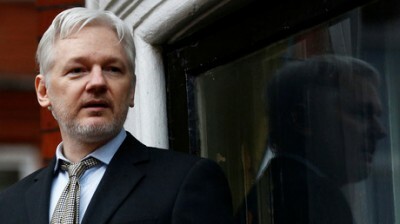 So, he wants to offer this trade in which Assange would provide to the White House physical ‘proof’ that Russia had nothing to do with the Democratic Party leaks from (or what Russia’s enemies call ‘hacks’ into) Democratic Party computers, which produced the revelations which Hillary Clinton says cost her the 2016 election. According to the WSJ report, General Kelly refused to inform President Trump of the offer. However, the news-report didn’t make clear whether Mr. Trump is even aware that Congressman Rohrabacher had attempted to communicate to the President the offer that Mr. Assange was wanting to communicate. Perhaps if Mr. Trump reads the Wall Street Journal, he’ll learn that Mr. Assange had wanted to offer this deal. According to the WSJ’s report, Congressman Rohrabacher was apparently so desperate to communicate Mr. Assange’s offer to the President, that Rohrabacher even asked Kelly if Rohrabacher would be allowed to communicate the offer to CIA Director Mike Pompeo, an anti-Russia hardliner, for transmission through Pompeo, to the President. Apparently, Mr. Kelly stovepipes to the President only information that Kelly wants the President to know, but Trump can, on his own, learn of other information if he sees or hears it in the newsmedia. Mr. Rohrabacher, who has long been a pro-Russia voice in Congress, traveled to London in August to meet with Mr. Assange, who has been living in Ecuador’s embassy since 2012 to avoid arrest and extradition to Sweden on allegations of sexual assault. Mr. Rohrabacher’s travel wasn’t paid for by the U.S. House of Representatives and wasn’t an official government trip, aides said. The Swedish investigation into Mr. Assange ended in May, but he remains in the embassy to avoid arrest and extradition by the U.S.